IQS Directory provides a comprehensive list of hydraulic control valve manufacturers and suppliers. Use our website to review and source top hydraulic control valve manufacturers with roll over ads and detailed product descriptions. Find hydraulic control valve companies that can design, engineer, and manufacture hydraulic control valves to your companies specifications. Then contact the hydraulic control valve companies through our quick and easy request for quote form. Website links, company profile, locations, phone, product videos and product information is provided for each company. Access customer reviews and keep up to date with product new articles. Whether you are looking for manufacturers of electric control hydraulic valves, hydraulic control valve single lever, modular hydraulic control valves or customized hydraulic control valves of every type, this is the resource for you. Established in 1912, Fulflo Specialties Co. mission was to strive to be a worldwide leader in the manufacturing industry. Today, this dream is a reality as they serve customers around the world with the quality hydraulic control valves they require. For products you can depend on and service you can trust, choose Fulflo Specialties Co. for all of your manufacturing needs. Our company provides our customers with the highest quality solutions available. We offer a complete line of fluid control products, consisting of hydraulic control valves, control valves, solenoid valves, and much more. We believe in offering nothing but the best to all customers, whether is with our quality, reliability, or prices! Find out how we can benefit you by contacting us today! Hader Industries is a trusted company that manufactures hydraulic control valves for check, flow and pressure control applications, plus hydraulic directional control valves and other hydraulic components and power supplies. Hydraulic products produced and serviced since 1990. Please give us a call to learn more information. Hydraulic control valves are used to contain and transfer the flow and pressure of hydraulic fluid in hydraulic systems. There are many different designs of hydraulic control valves, including check, cartridge, directional, relief, safety, shut off and solenoid valves. 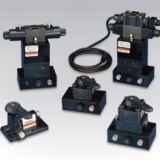 Hydraulic control valves come in a variety of sizes and pressure ratings. In an open position, hydraulic valves permit the flow of fluid; when in a closed position, they prevent flow. Hydraulic control valves are used to prevent improper levels of pressure and fluid in hydraulic systems. The basic mechanics of all hydraulic control valves essentially remains the same; each is usually cylindrical and occasionally contained in a small square-shaped house, placed at the mouth of a pipe or on the head of a pump and contains a seat in the opening that cradles the plunger that may be a variety of shapes and sizes. These various styles are mass produced in general cavity sizes, as well as being specially designed for certain out of the ordinary applications. The size of a hydraulic valve may vary from a fraction of a millimeter to three or four meters long. Whatever size, they are able to control the flow of liquid, whether it is thick like oil or thin like water. 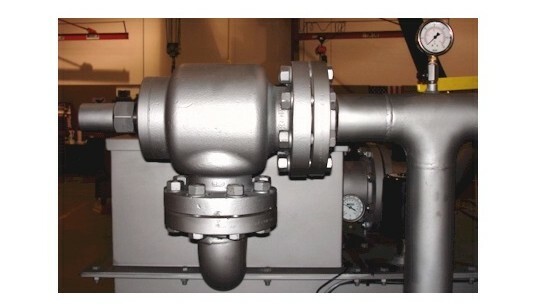 Some valves simply shut off flow when flow rates get too high, while others transmit signals to other valves in order to provide a systematic balance of flow. 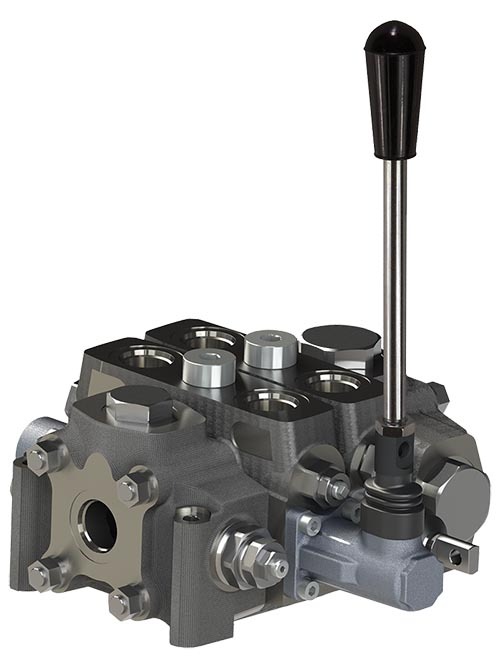 A wide range of styles crowds the hydraulic valve market, giving buyers plenty of specialized options. The hydraulic solenoid valve has a coil that is electrically activated when the flow of liquid changes in intensity, which then sends a signal to the plunger to cut off or release the flow. Proportional valves do a similar thing, by having an electric current alert the plunges when to stop or release, but is additionally able to control the output flow even while taking in more input flow. 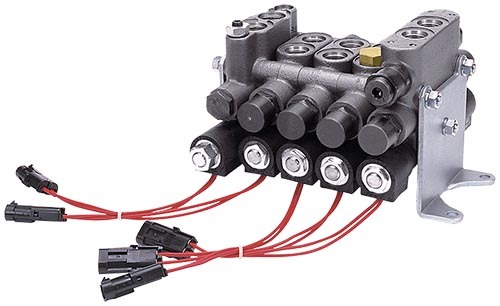 For this reason, the hydraulic proportional valves, which are a major subcategory of control valves, are becoming more popular then solenoid valves on the market today. 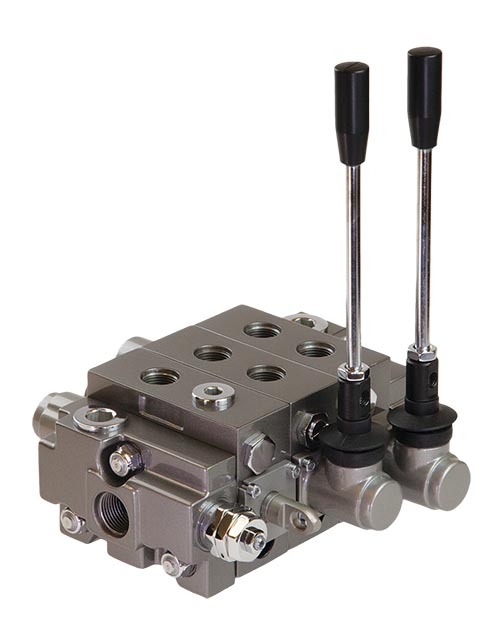 Another popular one in complex liquid systems is the directional control valve, which will direct the fluid to specific areas. 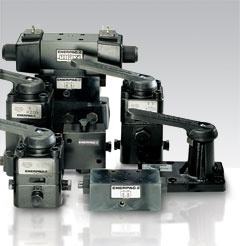 Machines and devices that run on hydraulic power use hydraulic control valves. These valves are used in conjunction with hydraulic cylinders, pumps and motors. They are commonly found in those vehicles manufactured by the automotive, aviation, and construction industries. Hydraulic Control Valves – Muncie Power Products, Inc.